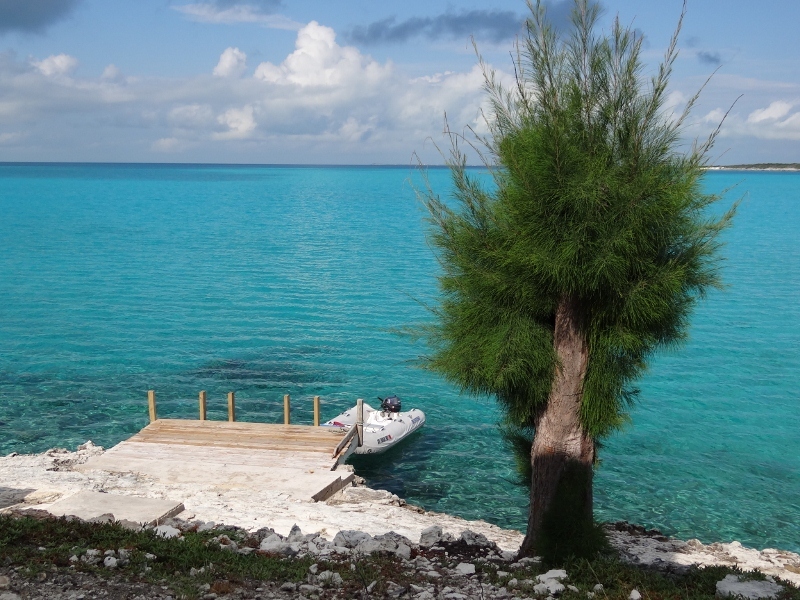 Great Guana Cay is 12 miles long and with the exception of Great Exuma Island, the longest cay in the Exuma chain. The only settlement is pretty Black Point, the largest and most traditional settlement in the northern and central Exumas. The sizeable population of 300 has been dwindling as the young folk leave the farming and fishing life for the “better” city life in Nassau. Many return for the annual homecoming fair in August. Black Point drew us in for several reasons, and if you are thinking food was one, you get a gold sea star! The others were: a large and protected anchorage that would provide a buffer from the N/NE cold front winds, three restaurants two with wi-fi, one grocery, free trash disposal, large dinghy dock and a killer laundromat with twelve washers, ten dryers, its own dinghy dock and reasonably priced at $3.50/load. My thought was the only thing missing were showers; later we heard Rockside announce that the token operated showers were open! Not that we needed them, but others might. Think I’m in heaven. George Town might have more to offer but with that comes 300-400 boats anchored in Elizabeth Harbour in peak season. We frequented Lorraine’s Café- hey how could I not? 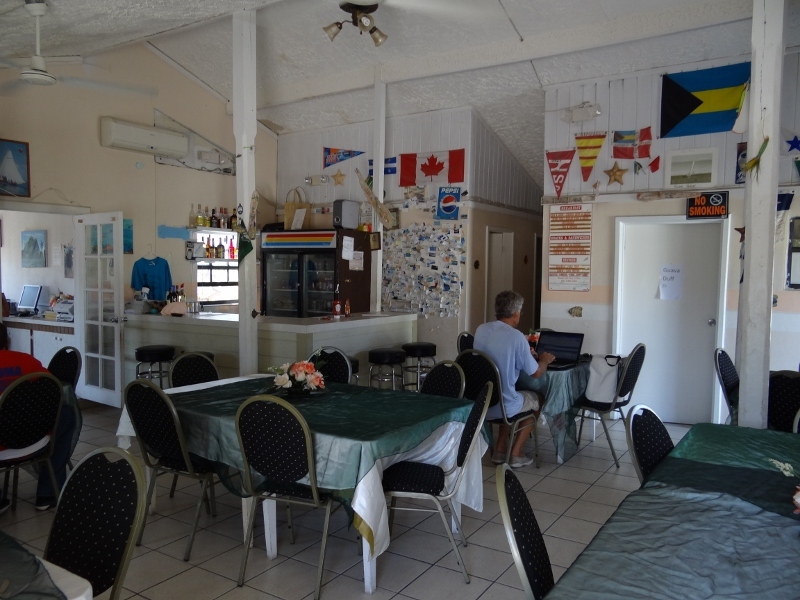 – where Lorraine serves three meals a day and provides the use of a separate computer room to satisfy your internet cravings. Bring your own laptop or iPad to access the password protected wi-fi service or just use one of several flat screen computers set up around the perimeter of the room. 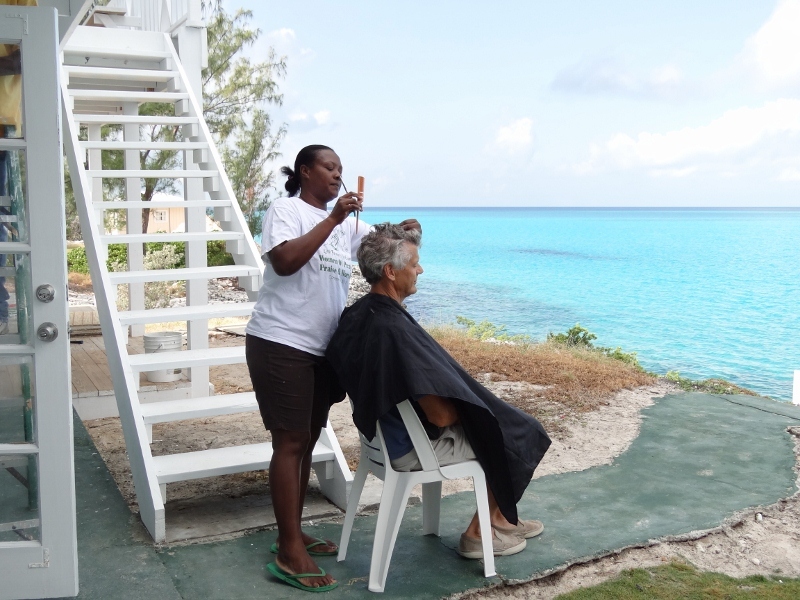 Ida, owner of Rockside Laundermat, (sic) also cuts hair and Russ was in need.